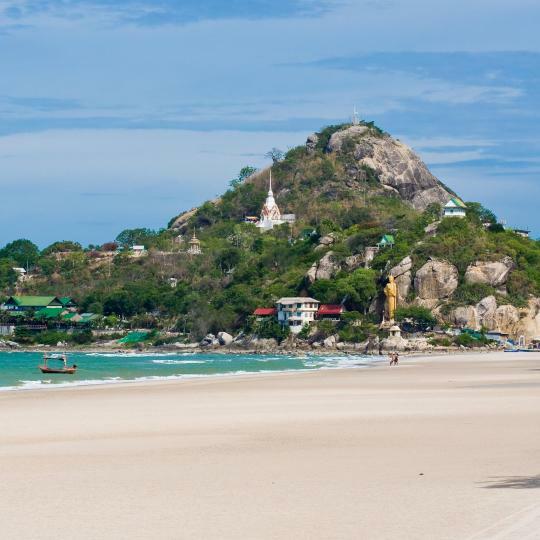 Stay in Hua Hin's best hotels! Located in Hua Hin, in a building dating from 2016, Asira Boutique HuaHin features an outdoor swimming pool and guestrooms with free WiFi. I love all the things here especially the swimming pool. Everything is so good here. Offering free WiFi, B2 Hua Hin Premier Resort is located in Hua Hin, within an 11-minute walk of Hua Hin Market Village. New hotel. About 10 minutes from the beach. Clean and tidy. Hop Inn Hua Hin is located in Hua Hin. Around a 14-minute walk from Hua Hin Clock Tower, the property is also close to Hua Hin Night Market. The location is next to 7-Eleven.. walking distance like 1 minute to 2 Muslim Halal restaurants..
A 5-minute ride from Hua Hin Night Market, the Royal Pavilion Huahin features comfortable rooms with free Wi-Fi. It features an outdoor pool and an on-site restaurant. Near to night market and clean. Friendly staffs. This luxurious 5-star beachfront property features a large lagoon pool set in 12.5 acres of tropical landscapes. The location. The grounds were vast so many pool areas and great for children. Breakfast was great. Everything from scrumptious seafood dishes to clothing, crafts and souvenir stalls can be found at this popular night market. At 4 km long, this sandy stretch offers plenty of space for sunbathing, with wonderful views of the striking turquoise waters. 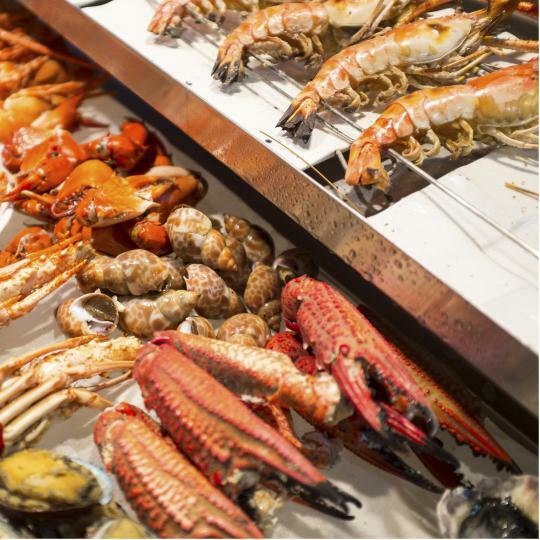 This former fishing village is the best place to sample fresh, succulent seafood. The local spicy seafood sauce is a must-try. Marvel at the standing Buddha before ascending the hill of Khao Takiap, or “Chopstick Hill”, for panoramic gulf views. 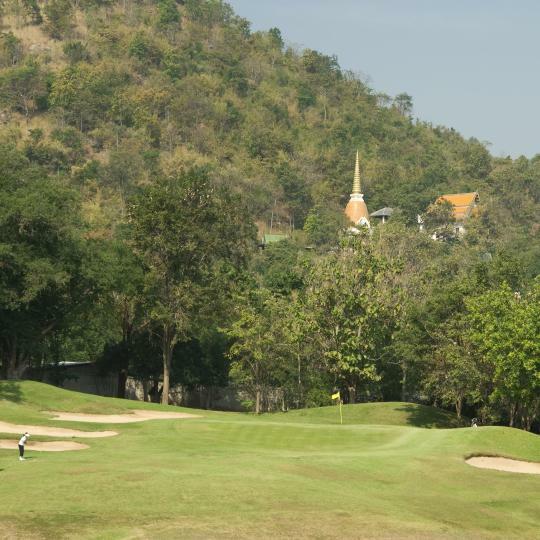 Professionals tee off at the world-class golf courses, home to the nation’s first golf club, the Royal Hua Hin. 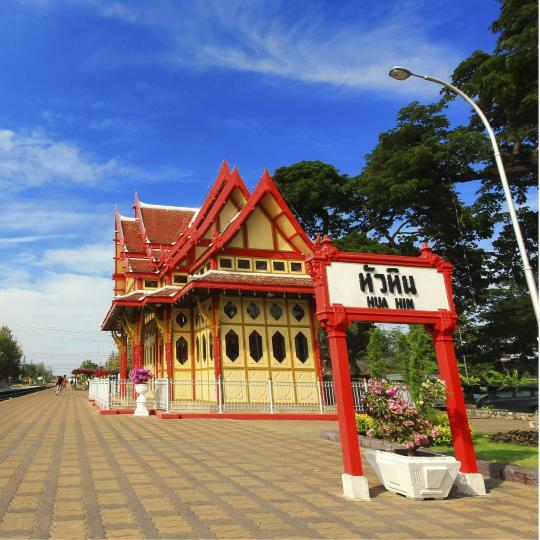 One of Thailand’s oldest train stations boasts a picturesque red-roofed pavilion which served as the Royal Waiting Room in the 1920s. 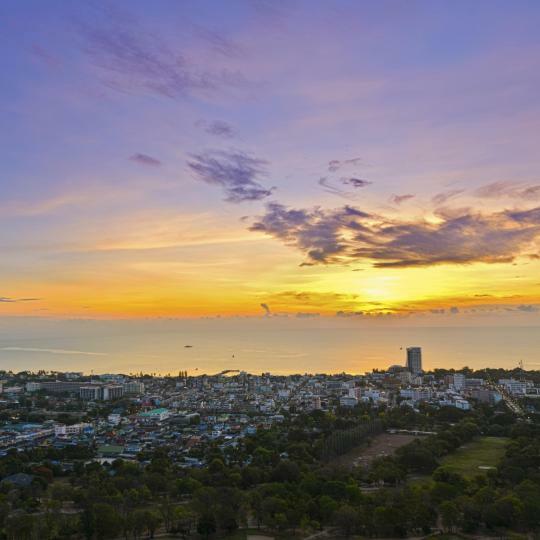 This steep hillside rewards adventurers with the chance to catch a spectacular sunset and a bird’s-eye view of Hua Hin. 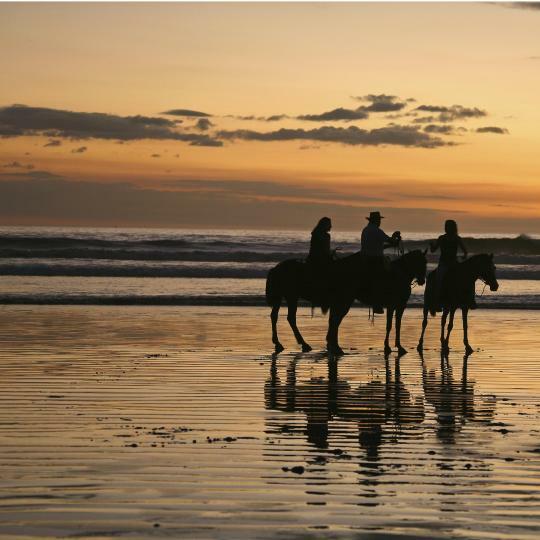 Feel the breeze in your hair as you trot along the white sandy Hua Hin Beach on horseback. 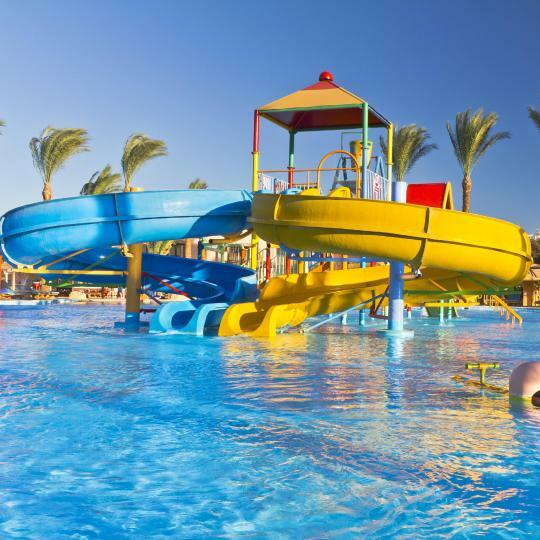 This family-friendly water park has 9 exhilarating slides, a giant wave pool and a lazy river to relax in after a day of adventure. 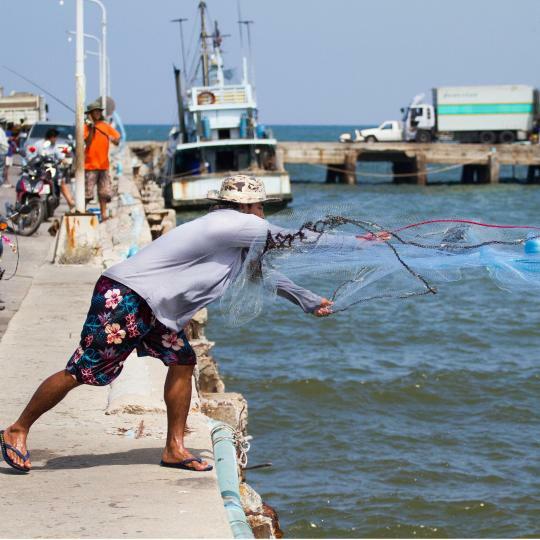 Keen fishermen can cast lines at the pier, or sail out into the open water for an all-day fishing excursion. The hostel is incredibly convenient which is 2-3 minutes from the Clock Tower (where most Hua Hin buses locate). 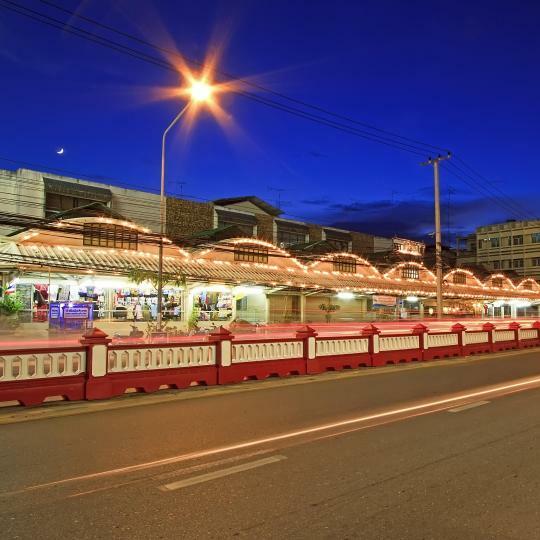 From the hostel, you can walk to Chatsila, Hua Hin Night Market, Hua Hin Wat, and a long food street nearby. It's also right next to Starbucks. The staff is friendly and supportive in general although they couldn't find my booking on their system at first. (Not sure if it's Booking.com's fault). I like the rooftop as you see the night nice view of Hua Hin from the top. The location is next to 7-Eleven.. walking distance like 1 minute to 2 Muslim Halal restaurants.. FYI, there's only 3 halal restaurant in Hua Hin and this hotel is so near to the 2 halal restaurants. Next to the hotel also easily you can get transportation direct to Bangkok anywhere you want to and is like a taxi/van hub. Not congested and very peaceful. Room is spacious. The toilet is with hot water and the hot water is superb.. The room cleanliness is very good. The staff also good just they don't really know how to speak in English. For muslim food can walk in 5-10mins from the hotel. The restaurant at Soi 51. Info for muslim travellers to get muslim food (Mooz Restaurant & Teh Tarik Place) and also can get at railway station hua hin. Rent a taxi from airport to hotel which is 400bath (negotiable). The location of the hotel is wonderful, really close to the city center and also to the beach. The room is really spacious and very comfortable, and the internet connection is super fast. The hosts are also super nice and helpful. We would totally recommend this hotel to anyone who would like to go to Hua Hin and would definetely stay there again, it’s a great value for the money. We liked the restaurant, staff, hotel lobby so much. if fact, this was the first time we stayed with IBIS and very impressed. they have free shuttle to the happening places (or i might say, the city center). Cicada Night market is just few minutes walk. if you are to decide which night market to go? Cicada or Hua Hin? opt for Cicada Night Market. Great hotel by the beach in close proximity to Hua Hin city center. Our family terrace room was spacious, clean and comfortable and the staff were very helpful and friendly. We enjoyed our evening meals and breakfasts at the restaurant. The kids all had a lot of fun at the pool! A new hotel, nothing fancy, but clean and comfortable. The breakfast was good with a variety of western and Thai food. Good location in the quieter end of Hua Hin and very close to the Cicada and Tamarind night markets. Great Responsive Staff. Terrific Service. Excellent Location. Good Breakfast. Hotel is old but clean and well managed. Services provided can't be beat. Will definitely be my go to hotel whenever visiting Hua Hin! 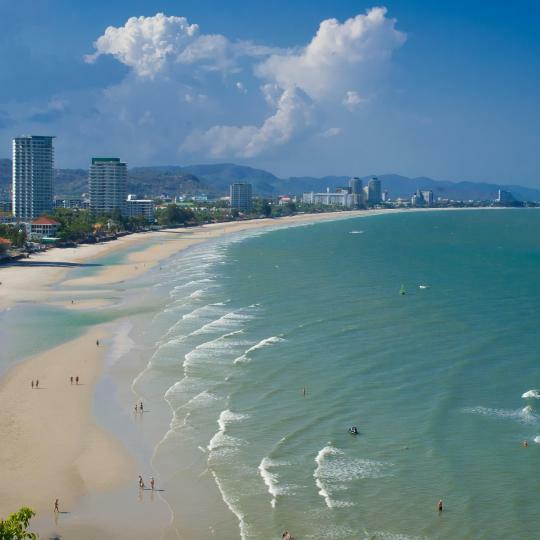 I like where the hotel is situated along Hua Hin Beach, because south of the Hilton is where the best spots are. Also, the green environment and villa like rooms are wonderful. Very nice hotel, just a stone throw away from the beach. The staff was friendly and attentive. Lots of shopping areas next door including one of the two main malls in Hua Hin. Nice and clean rooms. Excellent hospitality. Good location. Lots of eating places around the hotel. Good travel advise from hosts. Easy to drive around Hua Hin. While the breakfast buffet was excellent, the food in the hotel restaurants was generally poorer than at restaurants in Hua Hin town. very clean and quiet boutique hotel. good bathroom and shower Very good location in centre of hua hin. Very good and child friendly. Just what I expected of a top notch hotel in hua hin. Well done all!